The crescent for Dhul Hijjah was sighted tomorrow will mark the first day of Dhul Hijjah. InshaAllah Eid will be celebrated 22nd August. Please try to arrive by 8:15am as Eid Salah will commence at 8:30am Sharp InshaAllah. New Plymouth Old Boys Rugby Club (199B Carrington Street, Vogeltown). Please bring a plate of food (finger foods / snacks / sweets etc) and drinks to share on this joyous occasion InshaAllah. 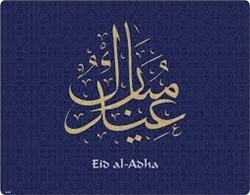 InshaAllah the Eid family function will be held on the 24th.